A Bit Bridge 2018 in review! The board members of Bit Bridge would like to wrap up an exciting 2018 with a look back at everything that happened for us in the past year. As our first full year with a proper organizational structure, 2018 was an “event”-ful year full of surprises, happenings, and lots and lots of community growth. Over the course of this year, our goal was to host at least one Bit Bridge-relevant event a month. 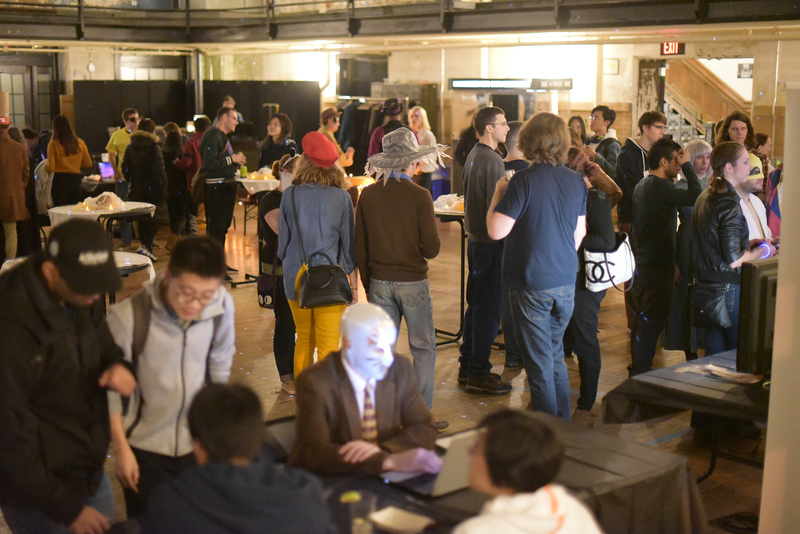 Whether that was a social gathering at a coffee shop, a series of 5-minute lighting talks held at Schell Games, or a Halloween party/indie game showcase for over a hundred people at the Ace Hotel we felt we covered a lot of ground. So as we look back at the past year of events, rather than going chronologically through the year we’ve categorized our events into different types serving different needs and functions (hopefully!). Let’s take a look back at the kinds of events and places we hosted over the past 12 months! The core goal of Bit Bridge is to foster community and engagement among developers in Pittsburgh. 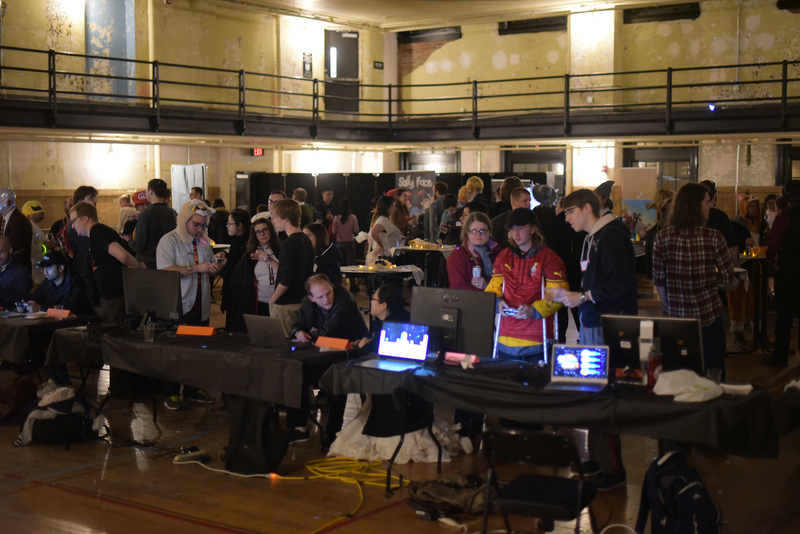 We find that there are a lot of people making games here in Pittsburgh and pockets of communities all around. However, it can be difficult to find others especially when few people know of each other. 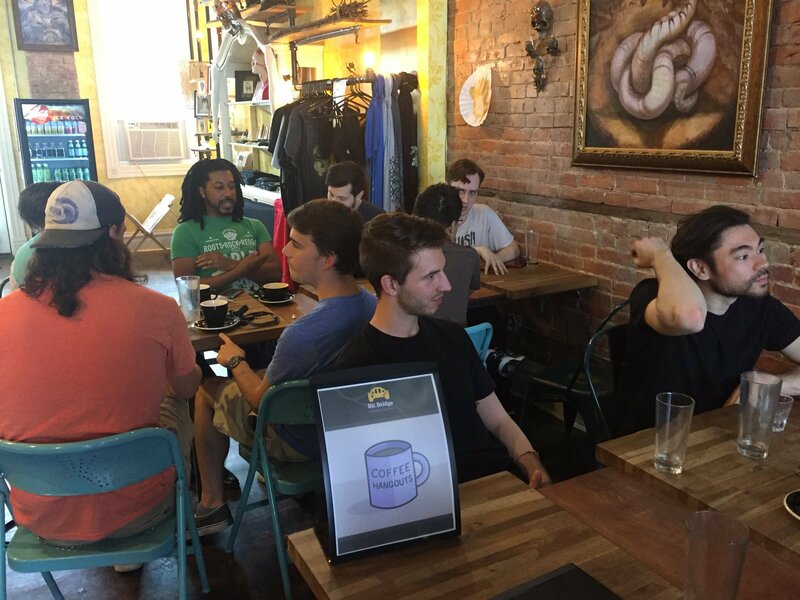 Our coffee/social meetups are designed to bring devs together in a casual setting with no explicit goals, just hang out and get to know your fellow Pittsburgh devs! In 2018, we held 5 different coffee meetups across a variety of locations including Zeke’s Coffee in East Liberty, Artisan Tattoo and Cafe in Bloomfield, and Coffee Tree Roasters in Shadyside. In addition to our coffee meetups, we also had a summer BBQ hosted by local CMU professor and dev Paolo Pedercini in his backyard next to LikeLike Arcade. 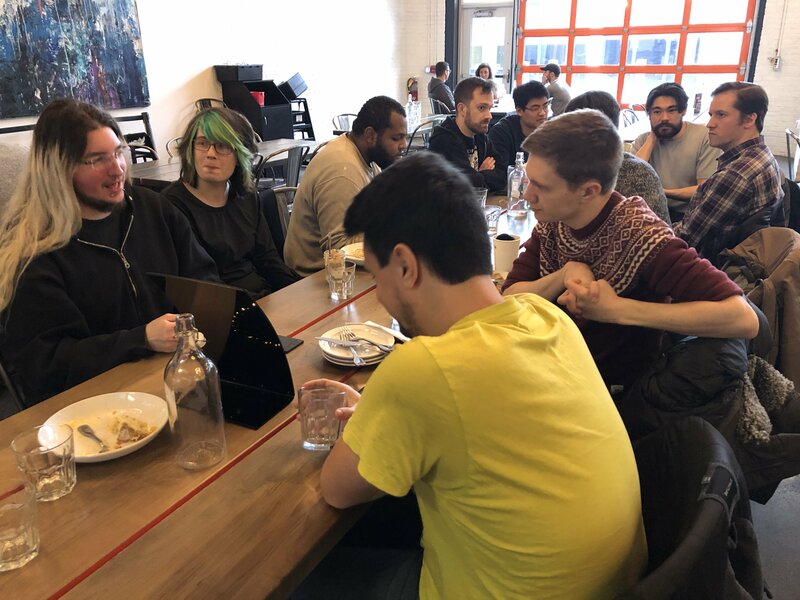 In addition to our coffee meetups, we looked at holding playtesting sessions for devs to get valuable feedback from players outside of their usual circles. 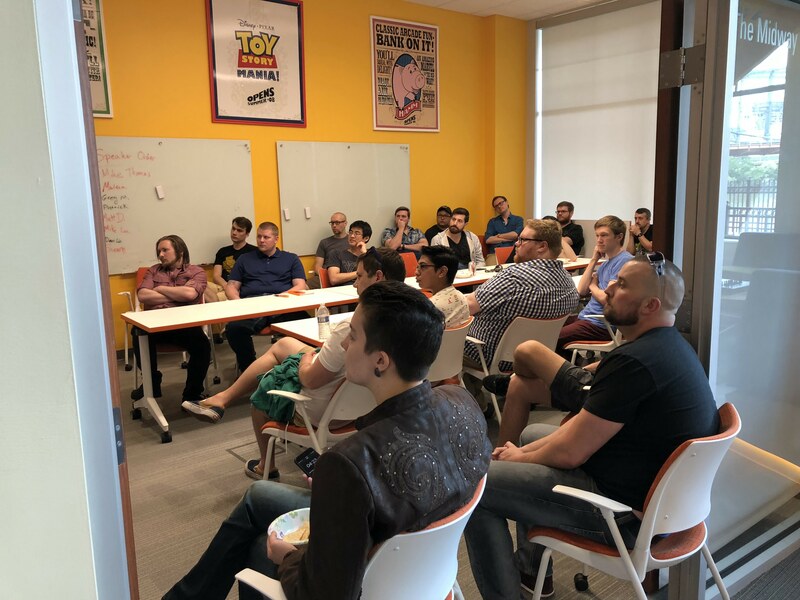 We held two of these events in 2018, the first one at StackPGH in East Liberty in mid-July and the second one at Looking for Group in Brookline in August. In addition to providing developers an opportunity to test out their works-in-progress, it gave us a chance to connect with different organizations aligned with Bit Bridge. 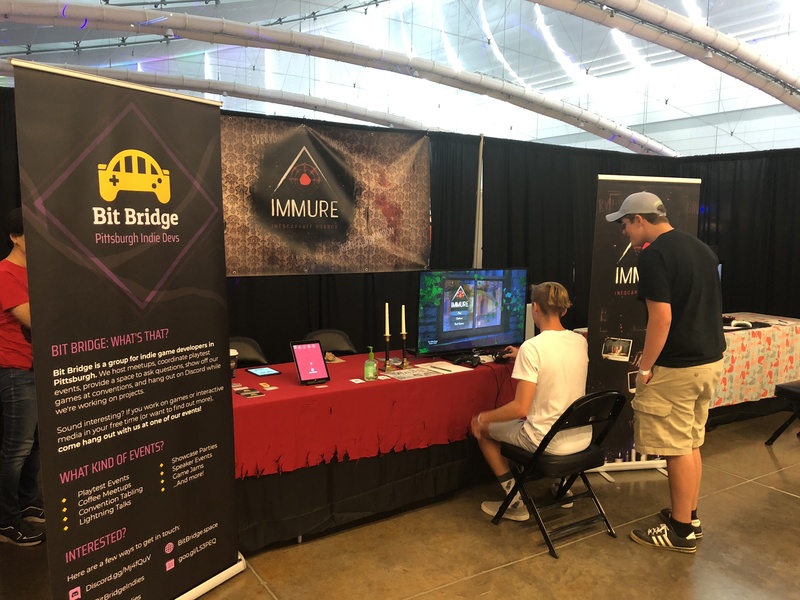 During the course of the year, we had the opportunity to participate in two local conventions held right here in Pittsburgh (both at the David H. Lawrence Convention Center). First in April, we were invited by the organizers of Tekko Con (a local anime con) to man a table during their weekend convention. Later in July we had the pleasure of participating as part of the “indie island” of games held at one of the largest pinball expos/tournaments in the world ReplayFX. Both of these tables were opportunities for us to showcase Bit Bridge and local Pittsburgh-made indie games to a wider public. We invited different teams to man the booth during specific hours and showcase their games. 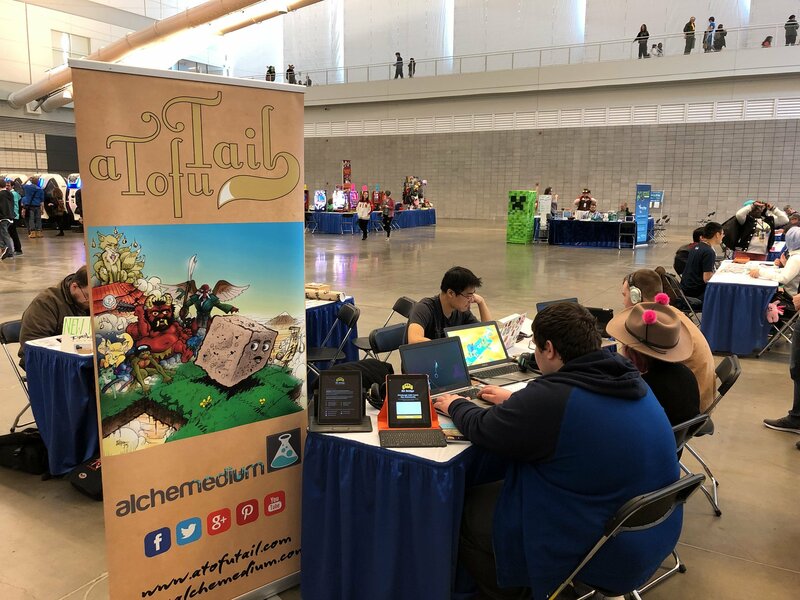 We had both Wither Studios showcasing their latest game Immure, Alchemedium with A Tofu Tail, and Ludoko Studios with Too Close. 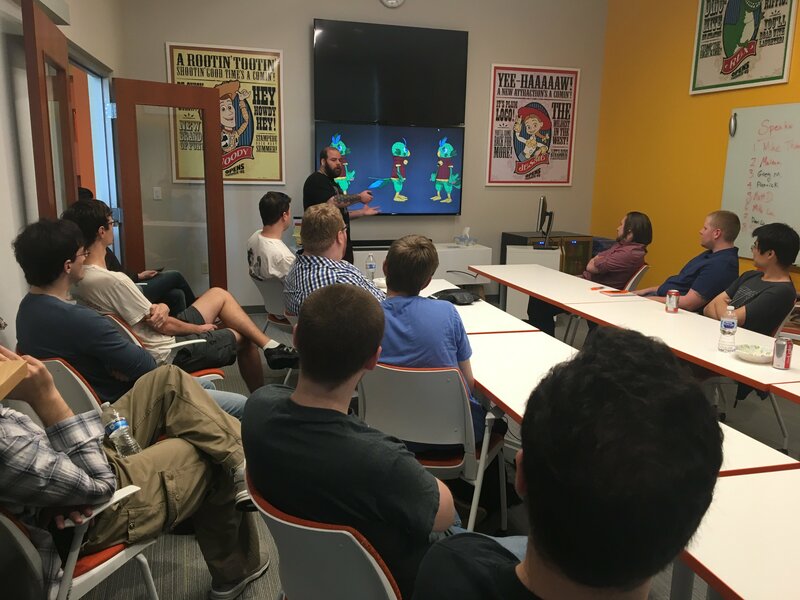 The first of our two major events for 2018 was a series of 5-minute lighting talks hosted at Schell Games. We reached out to the community to provide insights and discussions on topics both big and small from all disciplines and areas of expertise. Over the course of 2 hours we had different speakers discuss making low-poly game art, showcasing insights from their own indie development, or just talking about cool stuff they were making! It was a great way to learn about all the different talents in the community and we hope to provide another forum for lighting talks going into 2019. 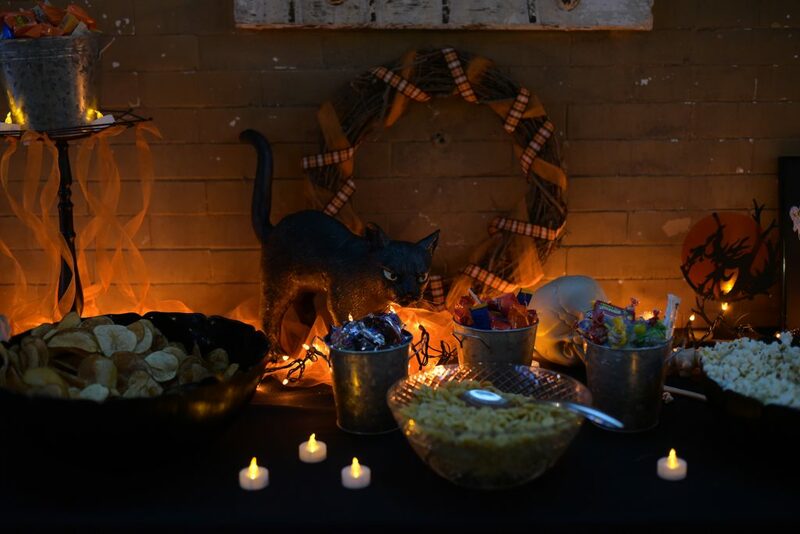 Our second major event was the Halloween Showcase held at the Ace Hotel in East Liberty. 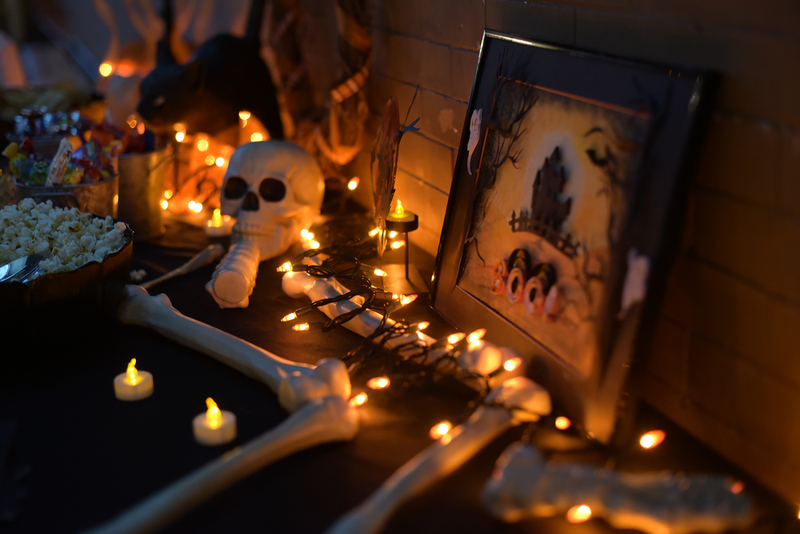 Thanks to the help of Mega Cat Studios, we were able to rent out the hotel’s main ballroom (a former YMCA basketball gym) for an awesome night of indie games, Halloween-themed festivities, and spooky good times. 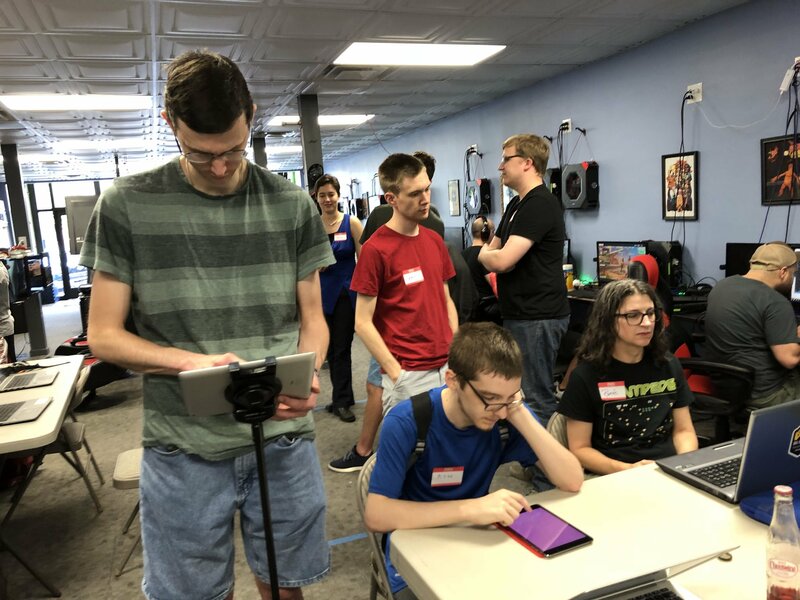 We had 14 games on display from both near and around Pittsburgh including a lot of newcomers showcasing personal works or recent jam games/prototypes. Thanks to the venue being free and open for everyone, we had over 100 people attend and play some cool indie games. We had regulars from the coffee meetups, professionals from tech studios, hobbyists, students from local universities, and even the occasional curious hotel traveler drop in and see what Bit Bridge was all about! Finally we held two public townhalls for Bit Bridge in June and December of 2018. As a newly-focused organization, we highly valued the thoughts and opinions of people attending our event and wanted to give everyone a chance to help shape the direction of Bit Bridge. These events were open to everyone and gave attendees a forum to discuss not only what kind of events and gatherings they wanted us to host, but also the overall mission of our community and how we wanted to achieve those goals. Even though we’re almost two months into 2019 already we have a lot of strong plans for this year. Already we’ve hosted both a pre-Global Game Jam mixer in January and a coffee meetup in February to continue our goal of at least one community event a month. On top of that, we’ve been working with the amazing Seattle Indies on the first-ever Local Game Community Organizers roundtable at this year’s Game Developer’s Conference. Our president Marlena Abraham is a co-host for this roundtable as we seek to grow and connect community organizers from across the world at GDC. Finally, we’re happy to announce that Bit Bridge is formally transitioning from an informal community group to a proper legal organization. We’re in the process of creating an LLC to provide proper channels for event hosting, fundraising, and other community functions as we grow and foster indie game development here in Pittsburgh. Thanks to everyone who has supported Bit Bridge over the past year. It’s been an amazing journey so far as we’ve grown and learned from just over 14 months of full-fledged organization. We’re incredibly excited about the future for Bit Bridge for 2019 and we can’t wait to share more with the entire community going forward. Thanks for reading this year-in-review and we hope to see you on our Discord or at a future Bit Bridge event!